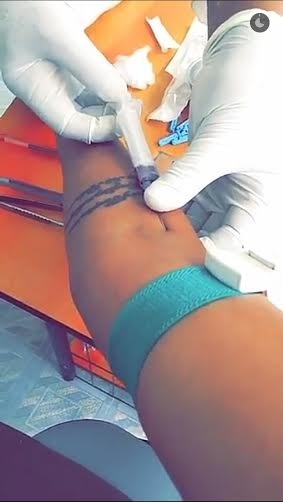 1st December is usually the worlds Aids day and controversial Socialite Huddah Monroe decided to take the bold step to know her status and shared her results with her funs. The flamboyant socialite went ahead adviced the youths to know their status as it’s the best decision that they can ever take. Hapy(sp) NEW month to all of you .... Plus ,It's WORLDS AIDS DAY! As usual This is a day where by people world wide unite in the fight against HIV, show their support for people living with HIV and to commemorate people who have died.......Lots of people in the other hand dunno the facts about protecting themselves and others ,Stigma and discrimination still remains vital for some people living with the virus.... World AIDS Day is important because it reminds the public and Government that HIV has not gone away – there is still a vital need to raise money, increase awareness, fight prejudice and improve education..... So apart from that I ALWAYS take this day to get to know my STATUS. ... And to give courage to most youths out there who get scared of knowing where they Stand . Knowing your status early is the best thing ever. If you are positive , just know it's not the end of the world, we LOVE you and We shall not allow anyone look down on you , live positively . If you are negative , it doesn't mean you can't get the virus, protect yourself and Treat others with respect and show them love .